The Durango Nature Center opened to the public on May 6. The day was sunny and beautiful, and our volunteer docent, Sheila Payne, was there to open the gates. Grace Gordon, our program facilitator, led the first in a four-part tracking workshop. Participants got to see the many tracks that built up over the winter and early spring months. The first Saturdays of the season at the center bring a rush to the senses as the sagebrush and juniper, mixed with dew and early blooms, fill the air, and the sound of rushing water in the Florida River and bird calls provide a background soundtrack. The non-human residents of the Nature Center are a little slow in May to get used to people visiting their home. On this first Saturday, our residential owl made one last flyover in the early morning light, nesting birds were in our bird boxes, leopard frogs were singing and signs of bear, coyotes and muskrat were all around. Last season, a red fox crossed the path of a group of first-graders from Needham Elementary School. And, last summer, a family of river otters moved in to the lower section of the Florida River that runs through the property. The Nature Center is a special corridor along the river where animals tend to congregate. The variety of habitats, from riparian to sagebrush juniper, creates an ideal living environment for many species. The lush vegetation and serenity offers a special oasis, despite the more than 70 students who are there each morning. The evenings offer a time for rejuvenation, as the wildlife replaces human visitors. The center is closed from November through February every year specifically for this reason. We give the land time to recover from the trampling of little feet and let wildlife be lulled into a sense of solitude and ownership, which we hope they don’t forget through the busy season. The reason that the center is open to the public on Saturdays is two-fold. First, it is a wonderful community resource that has grown in popularity since we built our Welcome Building five years ago. Visitors looking for something to do can spend the day learning about and observing the flora and fauna of the area, walking our nesting bird box route, earning a junior naturalist badge or learning independently on our self-guided interpretive trail. We also offer workshops for the community around natural history topics. Some offered this season are: “Tracking: A Four-Part Series,” “Father’s Day Bird Walk,” “Mountain Lions,” “The Ecology of the La Platas,” “Monarch Migration” and “Geology,” to name a few. The second reason we open the Nature Center to the public is connected to our school-year and summer education programs. 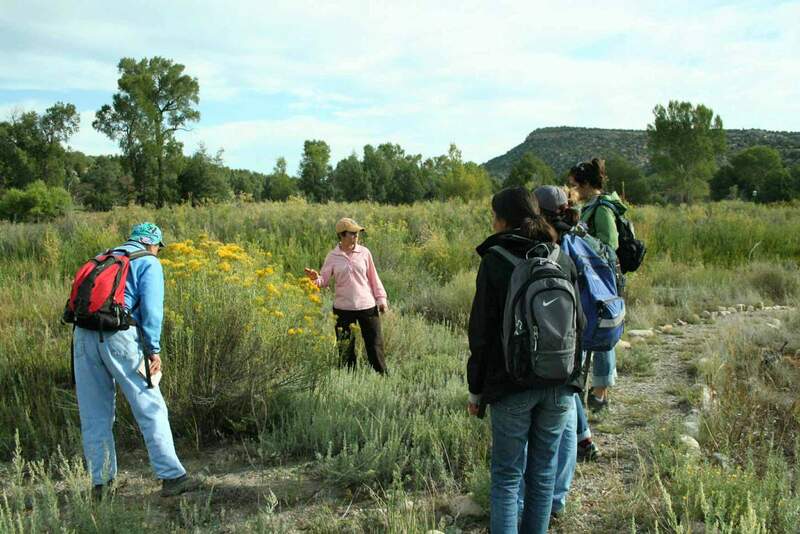 Since every Durango student in kindergarten to eighth grade comes to the center for standards-based environmental education, we believe it is important for students to have the chance to share what they have learned with family members. True appreciation and learning often takes place from sharing knowledge. Plus, the sense of place students and summer campers develop through time spent at the center is enhanced by exploring freely during unstructured time. No matter the motivation, the Nature Center is special. It’s part of what is unique about our community. We hope that between May and October people will take advantage of all it has to offer. As you drive through its gates, the prairie dog colony living at the entrance will be expecting you as yet another season begins.